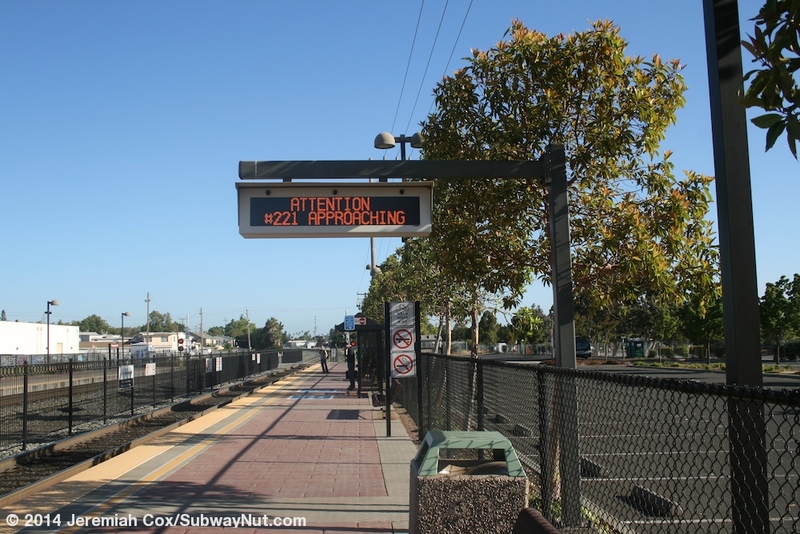 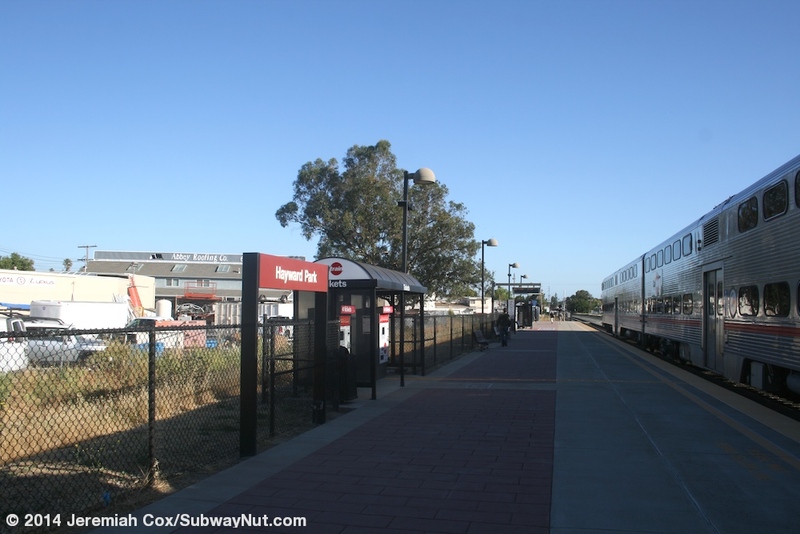 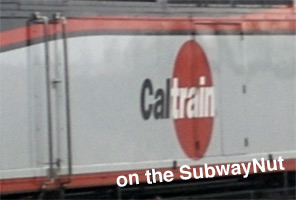 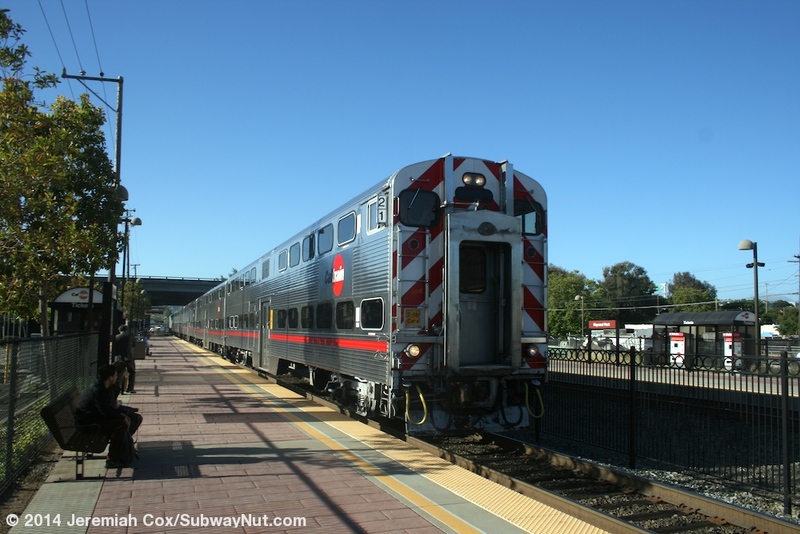 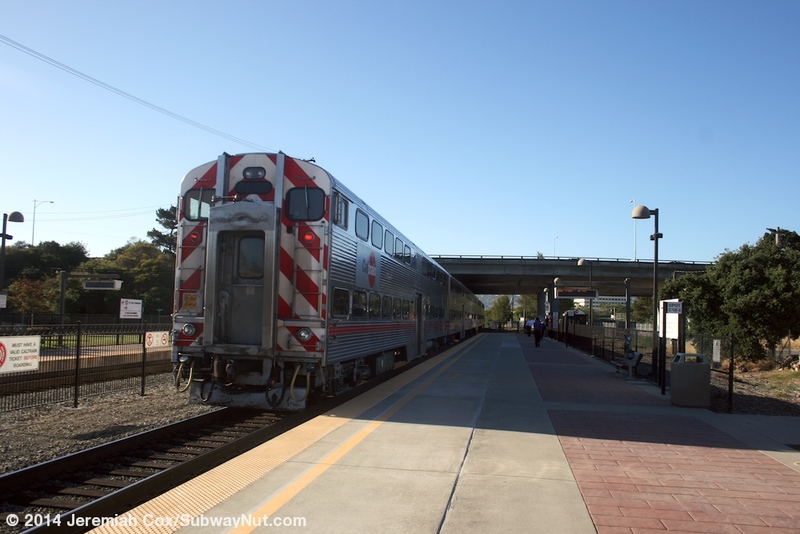 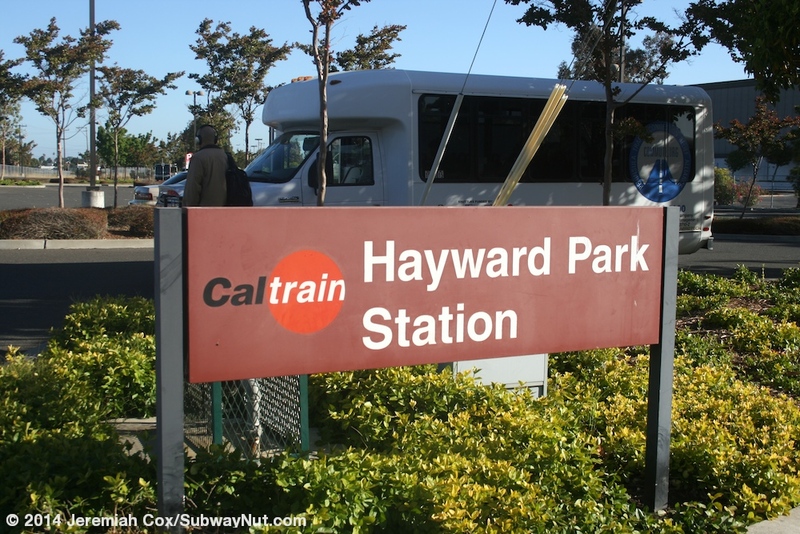 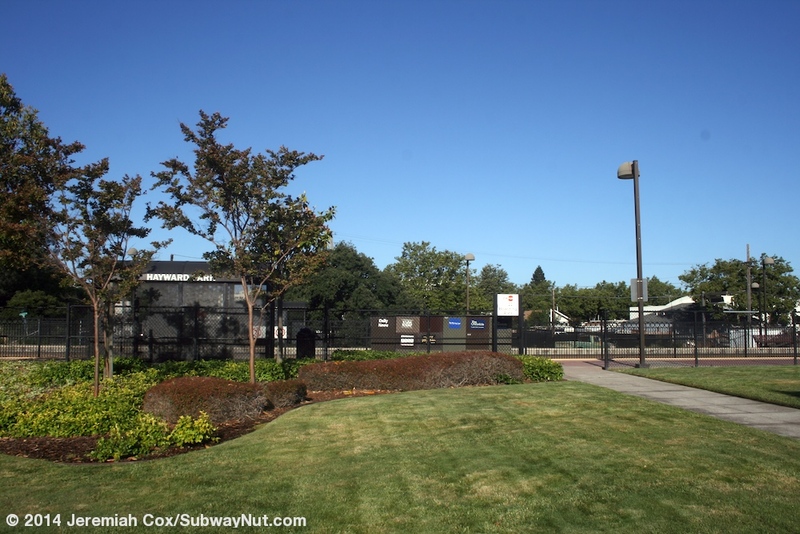 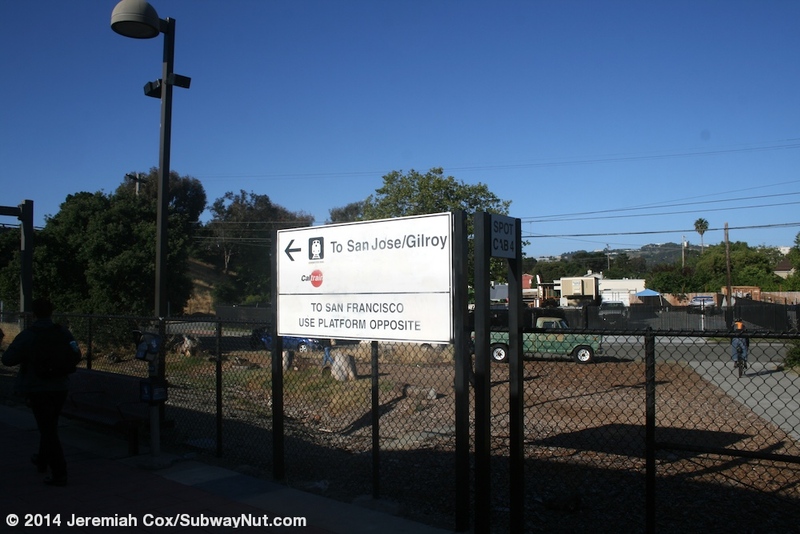 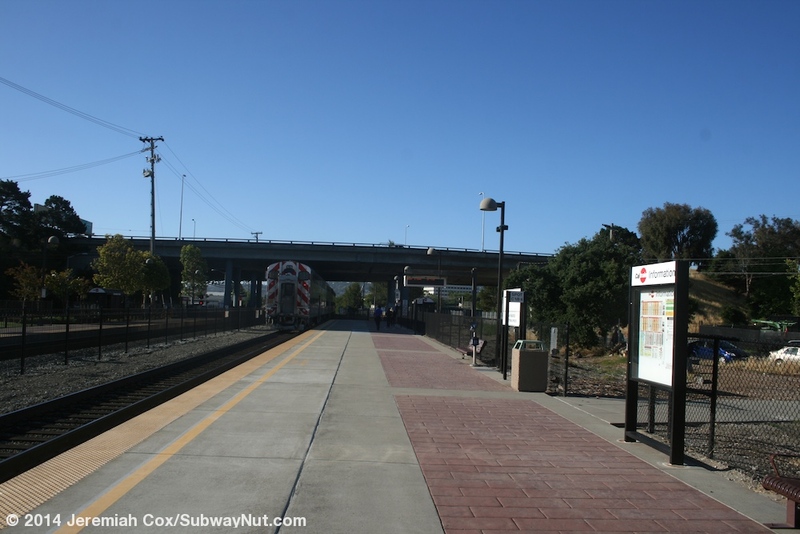 Hayward Park is a minor, local Caltrain station that receives service only hourly and has been the subject of proposed closings during Caltrain budget deficits. 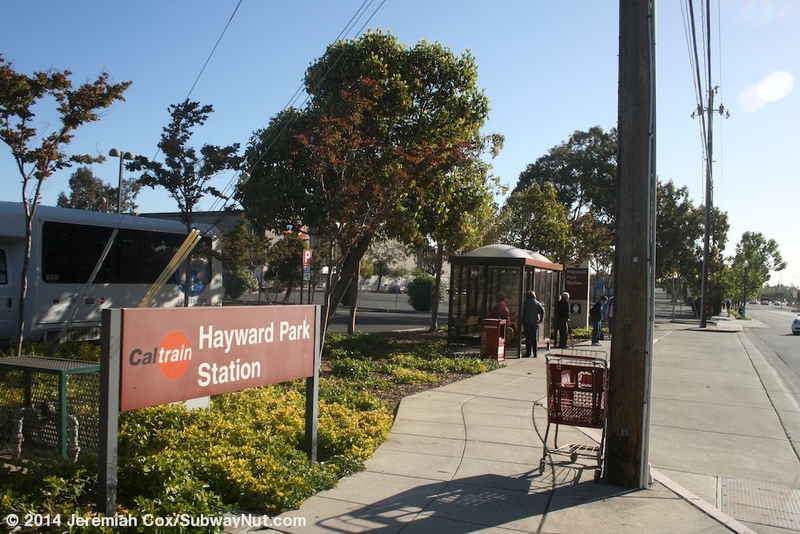 The current station opened in November 1999 getting relocated a couple blocks south from 16 Avenue & South B Street. 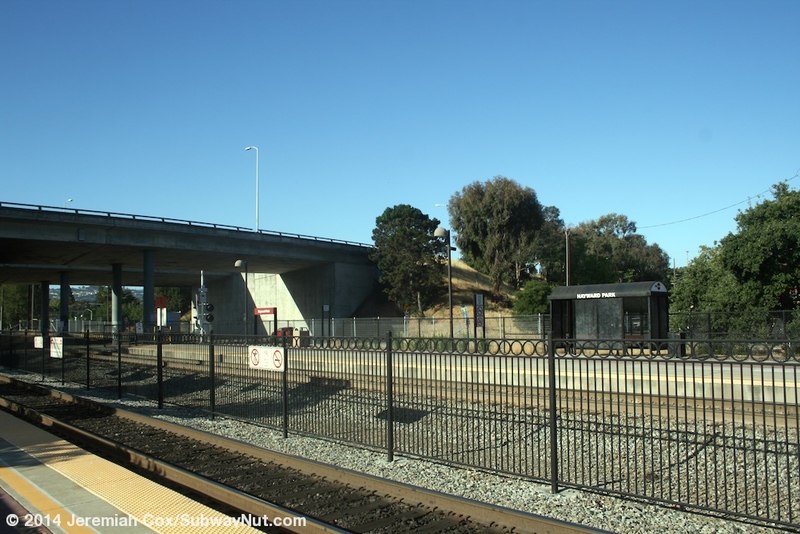 The station was relocated because the old stop was on a curve and I assume to be able to build to side platforms and illuminate the station from being a hold out station requiring only one train to stop at the station at a time. 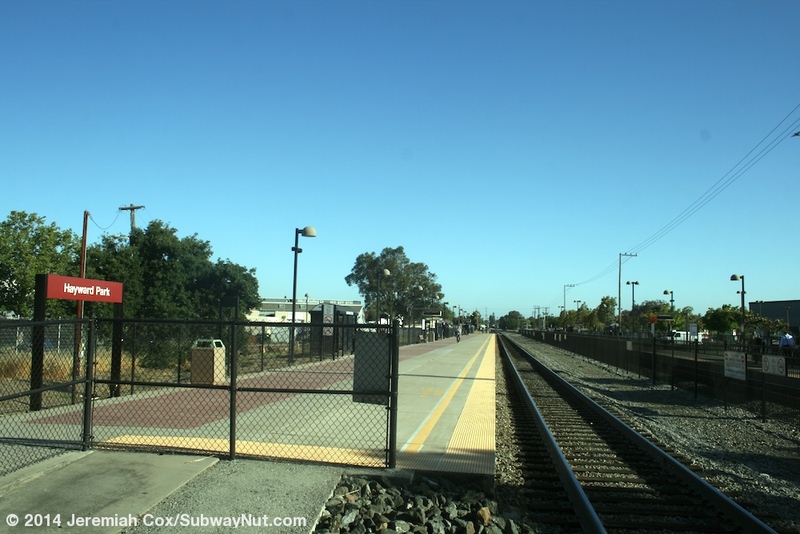 The current station has two simple wide ADA accessible platforms with pedestrian grade crossings at each end and a long fence running down the middle between the two tracks. 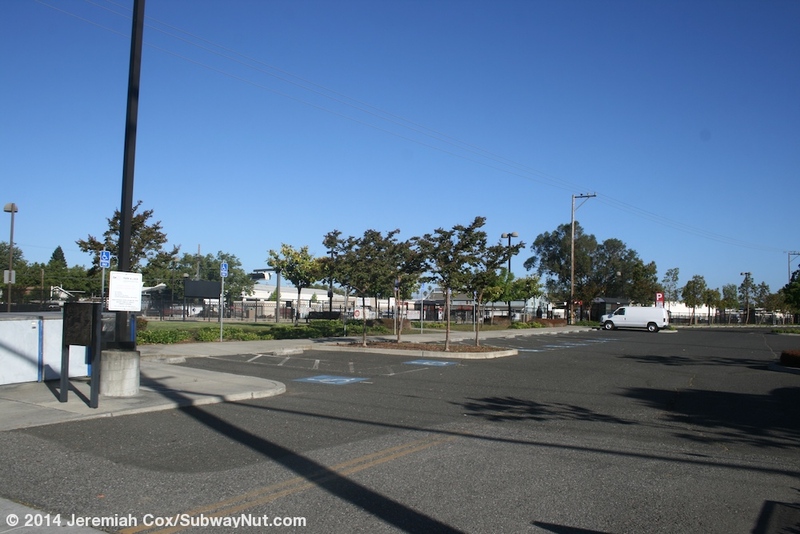 The freeway of CA-92, 19th Avenue Freeway (the original street here)/J. 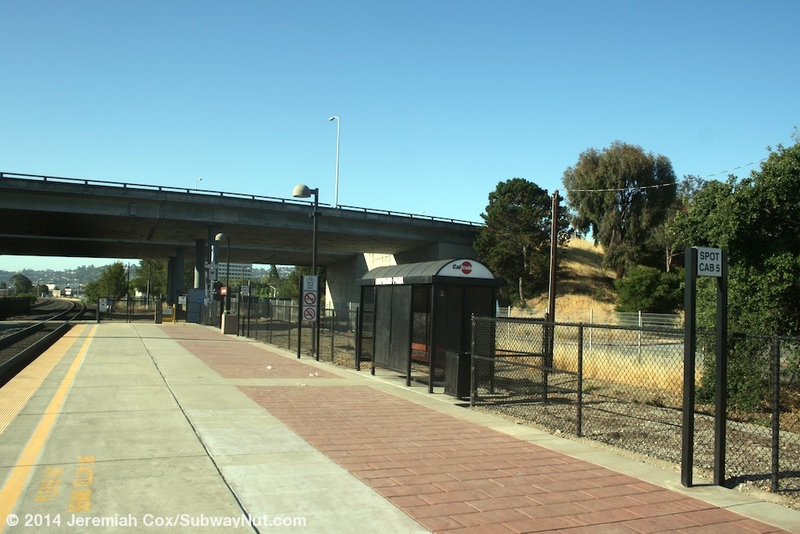 Aurthur Younger Freeway, cross above the train line at the southern end of the station platforms. 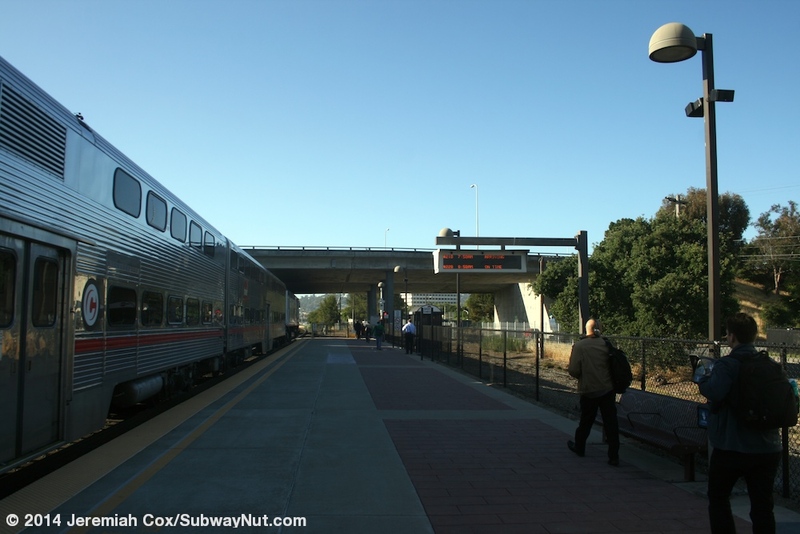 The only amenities for waiting passengers are three bus shelters along the San Jose-bound platform and two along the San Francisco-bound platform. 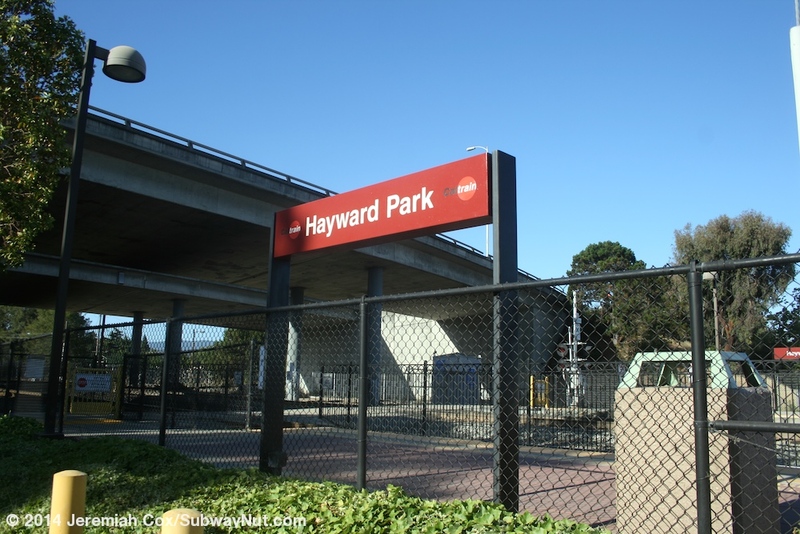 Signage is a couple of red Hayward Park with white text signs and the Caltrain logo on each side. 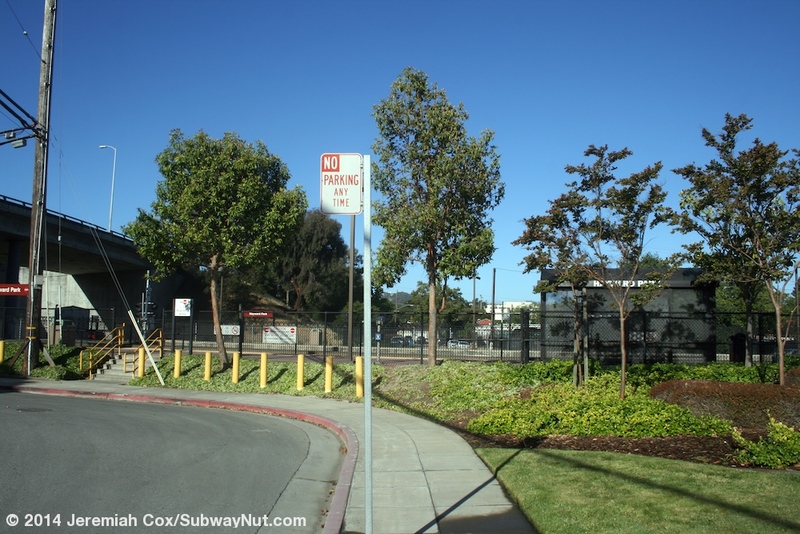 The west, San Francisco-bound side of the station has the station's 213 space paid parking lot. 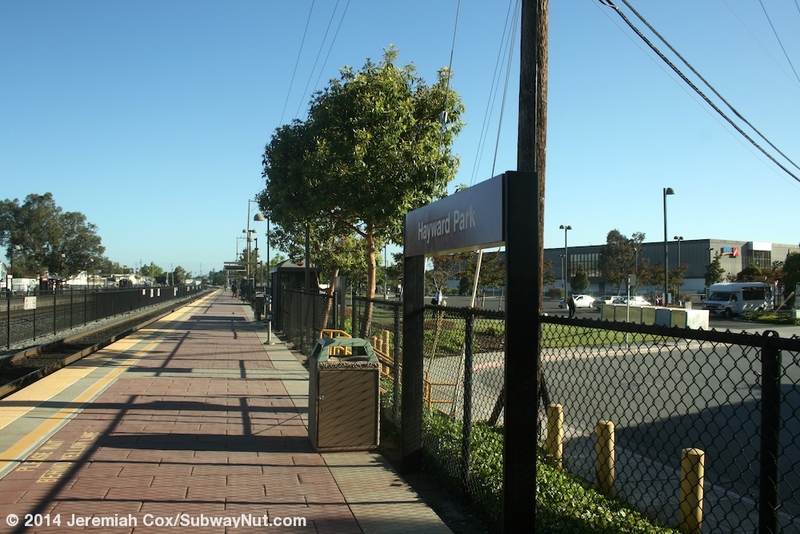 This parking lot has its entrance at its southern end from Concar Drive that curves south along the train line and becomes Pacific Blvd. 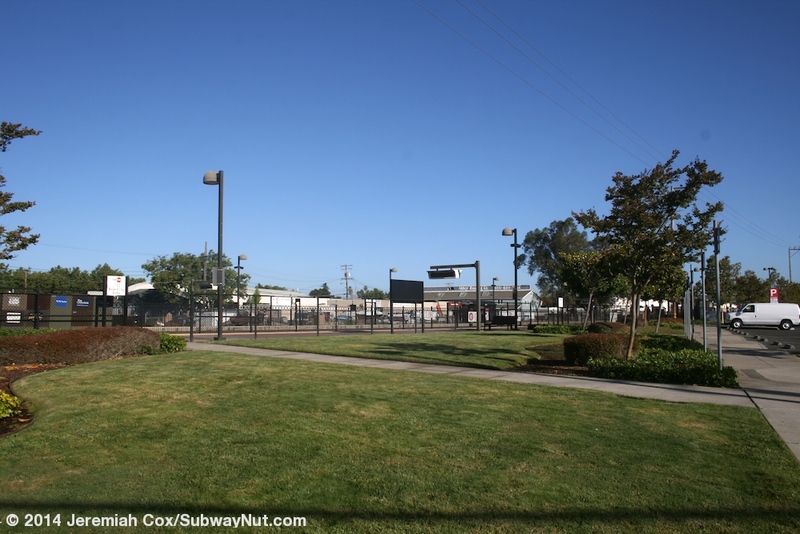 A walkway leads from the northern end of the parking lot along the tracks, running a block up to 16 Avenue and South Railroad Avenue where the original station was. 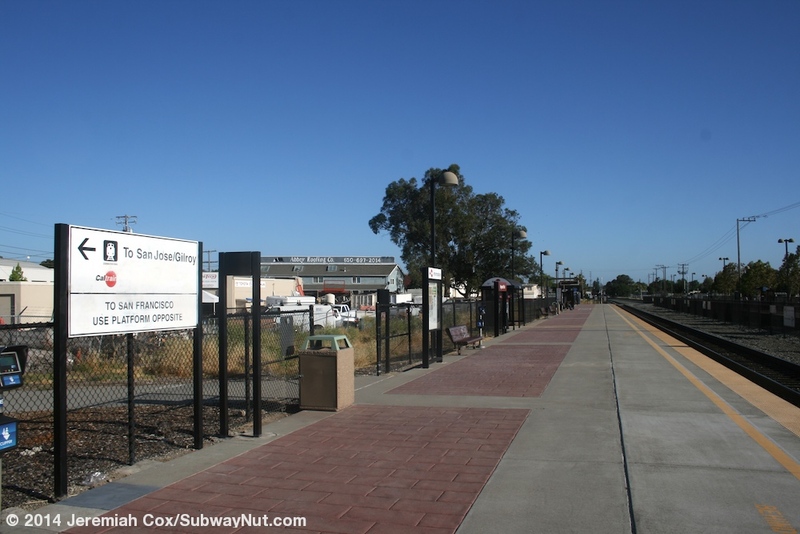 From the east, San Jose-bound platform are two sidewalk exits, one leads from the middle of the platform to Leslie Street a bit north of Gum Street. 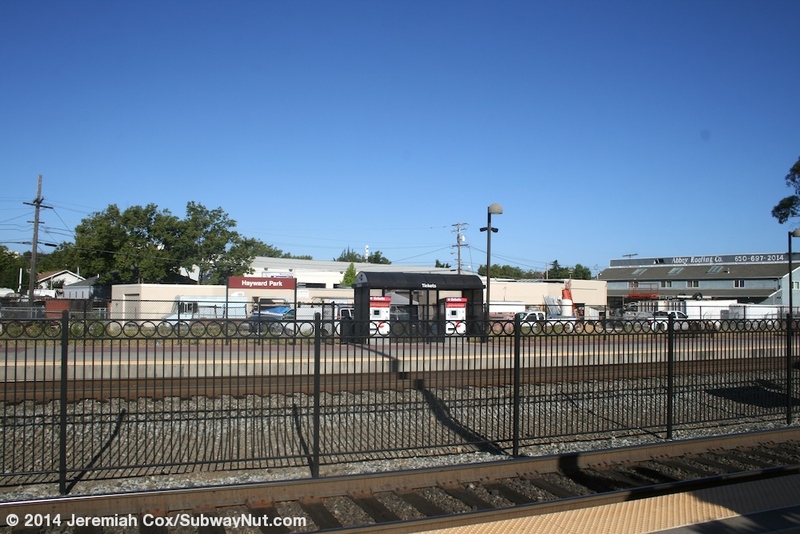 At the northern end of the platform a sidewalk leads along the railroad line to the dead end at the tracks of 17 Avenue.